If you’ve just bid farewell to ‘school holiday mode’ and feel you need a quick catch-up on the latest search and digital news, don’t worry, we’ve got you covered. In this month’s digital marketing news round-up, we’re talking about Google local pack results, Google’s new search app, HTTP site warnings, intelligent algorithms and more. 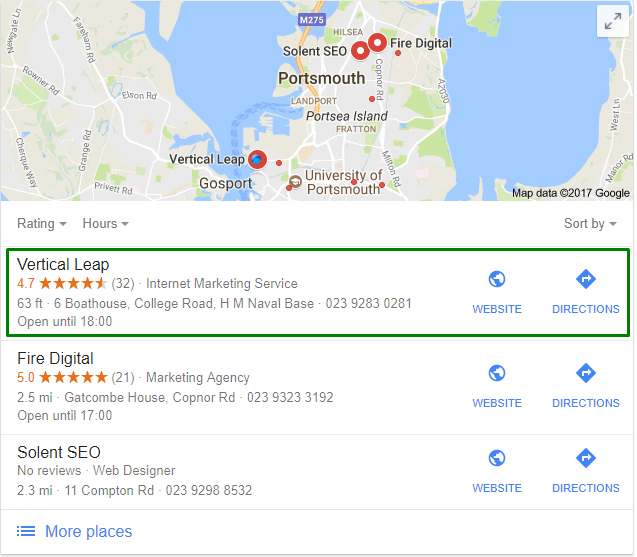 When you type into Google search location based queries (example ‘search marketing agency Portsmouth’) you will see a local pack of listings appear. RankRanger reported recent growth in the volume of these results appearing internationally, including the UK. For business, this places added emphasis on the potential impact for local SEO and the opportunity to maximise your digital marketing for increased brand plus location success. 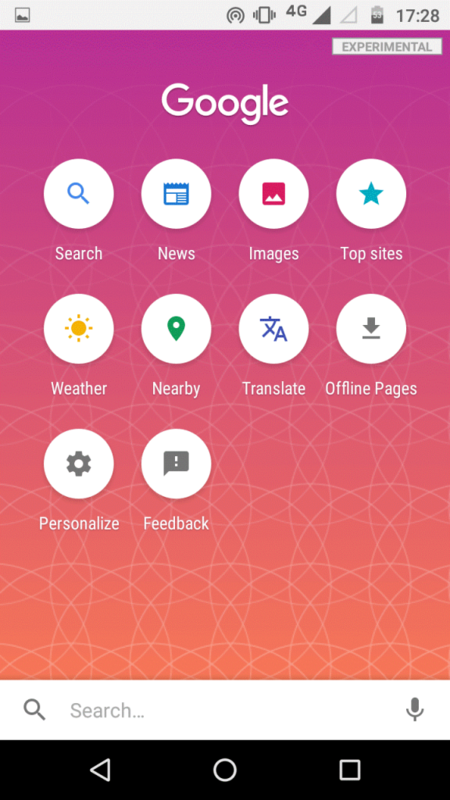 Google is currently testing a new Google Search App specifically designed for slower internet networks – particularly mobile. These tests are taking place in Indonesia and maybe India, to test how they can speed up search services where internet speeds are a constant issue. More info here. How will this affect marketers? How this will affect marketers is unclear, however, what this means for the future is that there will be a new pool of users who previously weren’t able to search online but will soon have the ability to search and, more importantly, buy online. Taking a leaf out of Google’s book, Bing is now testing Search Headers for Bing Ads. This mirrors Google’s design as they are completely the same. More info here. This means that marketers may not have to spend as much time optimising for Bing as the two interfaces become more similar. Action point: Review Google’s search headers and implement design choices into Bing. Google has released an important message to website owners. 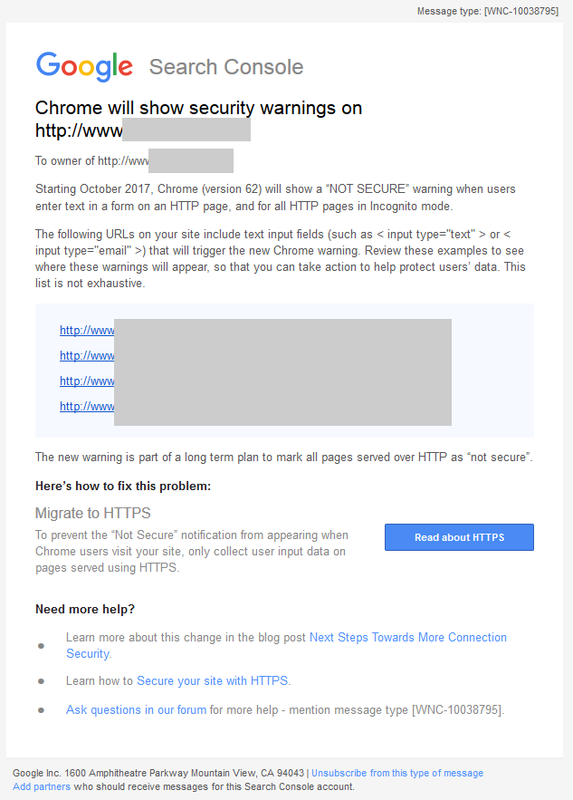 If your site runs on HTTP, Google will mark your site as “not secure” in Chrome. Google will show the user warnings asking if they wish to continue to the website. More info here. This means that HTTP websites are in danger of losing all forms of interaction as users will be more likely to click off the webpage. Action point: If your website is HTTP, make the change to HTTPS as quickly as possible! If you don’t have the resources in-house, we can do this for you. Just call us on 023 9283 0281. Bing advertisers that are using UET tags can now see conversion impact when looking at budget suggestions in their PPC accounts. Much like Google, you can now view metrics such as clicks, impressions and spend estimates all from the Bing Opportunities tab. More info here. With this new insight, metrics like cost per conversion can be better optimised in Bing as marketers will have a clearer picture on the impact their budget adjustments with have on conversion. This function is instrumental in helping marketers utilise budget more effectively and is a welcome addition to Bing’s Tools. 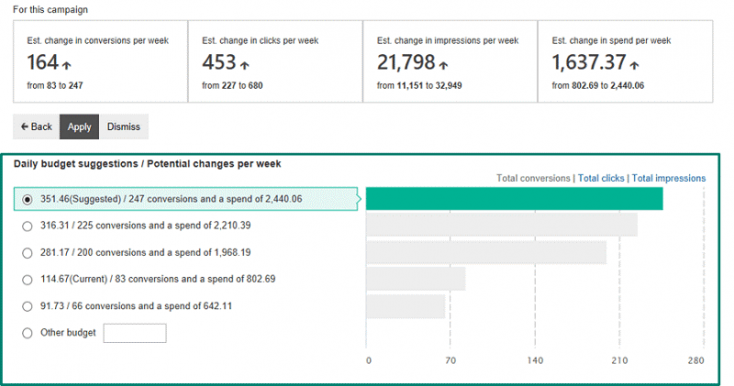 Action point: Review Bing’s insights on your accounts and experiment with budget adjustments. … In outdoor settings at least. 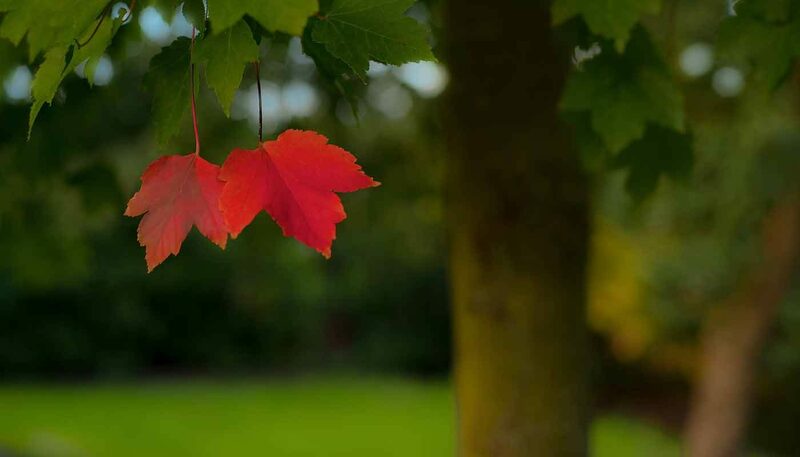 The University of Warwick has been using deep data and intelligent algorithms to identify natural beauty in the great outdoors. There are many exciting ways in which artificial intelligence, machine learning, and intelligent algorithms can inform, shape, and enhance your marketing efforts. 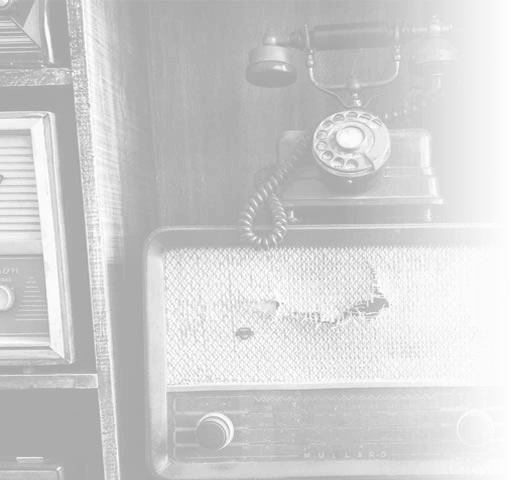 Consider immediate access to content, a seamless user journey from question to point of sale, and completely controllable 24/7 customer services and support personalised to the user. And this is just for starters! 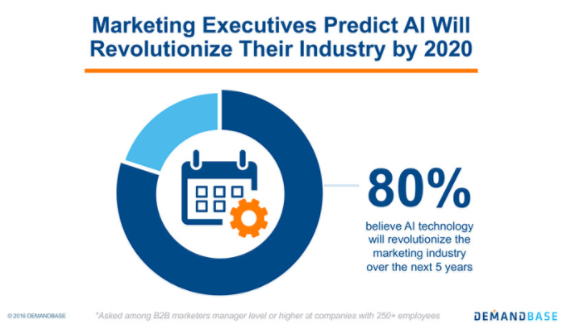 Are you one of the 80% of marketers who see AI as revolutionising their industry by 2020? Action point: Have a brainstorming session to identify areas where AI and algorithms could improve efficiencies in your business. What could be automated? Could a chatbot help to improve customer service? Could software carry out the menial tasks your employees have to do? That’s all for this month – if you have any questions about anything we’ve covered, just drop us an email here and we’ll be happy to help.